Our Heart Conditions group of Pet Care products contains medication for treating congestive heart failure in dogs due to dilated cardiomyopathy and degeneration of heart valves or mitral valve disease. 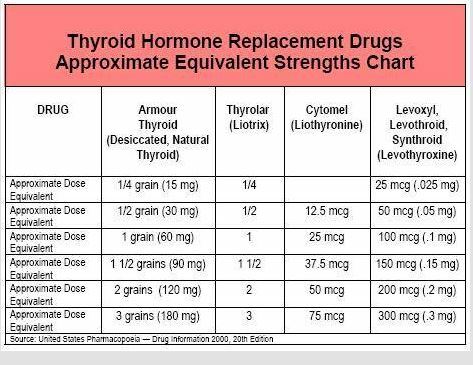 Our Thyroid Medications contain various thyroid hormone products (thyroxine) for treating underactive thyroid (hypothyroidism), including synthetic thyroxine and thyroid gland extracts. Congestive heart failure (CHF) is when the heart muscle becomes weakened so that it does not pump efficiently and is a common condition in dogs. It can be due by a variety of causes. Dilated cardiomyopathy (DCM) is the most common cause of CHF in dogs, particularly large breeds and some dogs have an inherited predisposition for DCM. It is characterised by dilated or enlarged chambers of the heart, and reduced contraction of the heart muscle, resulting in congestive heart failure. Warning signs of DCM include heart murmur and arrhythmias (abnormal heart beat). CHF can also be caused by degeneration of heart valves, called endocardiosis causing them to become leaky, resulting in mitral valve disease. Symptoms of CHF include lethargy, exercise intolerance, shortness of breath, difficulty breathing, cough, swelling of the abdomen due to collection of fluid around the lungs and abdomen, peripheral oedema, which is fluid collection in the tissues and weight loss; but very rarely does it result in chronic artery disease or a heart attack. If CHF progresses it can be fatal particularly in older dogs or breeds with a genetic predisposition. Heart failure in dogs can be treated by using medications that help improve the efficiency of the heart and increase blood flow; also with diuretics that help remove fluid in the tissues. Pimobendan is a drug specifically used for treating heart failure in dogs and is classified as an inodilator that works by two mechanisms of action. It acts directly on the cells of the heart muscle making them more sensitive to calcium, which is needed for muscle cells to contract and this increases the strength of muscular contraction. Pimobendan also inhibits an enzyme found in vascular smooth muscle cells, called phosphodiesterase lll that causes blood vessels to contract and narrow. This action causes peripheral and coronary blood vessels to widen, which reduces the workload on the heart and allows it to pump more efficiently. Pimobendan helps treat dogs with heart failure due to DCM or mitral valve disease and can be used in conjunction with other heart drugs. Propentofylline is a xanthine derivative drug that is used to treat dogs with circulation and breathing problems, particularly in older dogs, to improve lethargy, willingness to and tolerance for exercise and loss of general wellbeing due to impaired circulation or heart problems like arrhythmia. Propentofylline is as a vasodilator that acts directly on vascular smooth muscle cells and inhibits the phosphodiesterase enzyme that causes blood vessels to contract and narrow. This action widens blood vessels and increases blood flow particularly to the heart, skeletal muscle and brain; also reduces the workload on the heart. Propentofylline is also a bronchodilator and has the same action of the airways of the lung causing the bronchioles to dilate and widen, which increases air flow into the lungs. Propentofylline also helps improve the efficiency of the heart by improving the strength of muscular contraction and by increasing heart rate; it also has anti-arrhythmic actions to help return to a normal heart beat. Frusemide is a diuretic medication for cats, dogs, horses and cattle, to reduce oedema, which is a symptom of congestive heart failure. Frusemide acts directly on the kidneys to help remove fluid that has built up in the tissues. It works by inhibiting the reabsorption of salts back into the blood, so that more salts are excreted into the urine so that more water is removed from the blood and this draws more water out of the tissues.